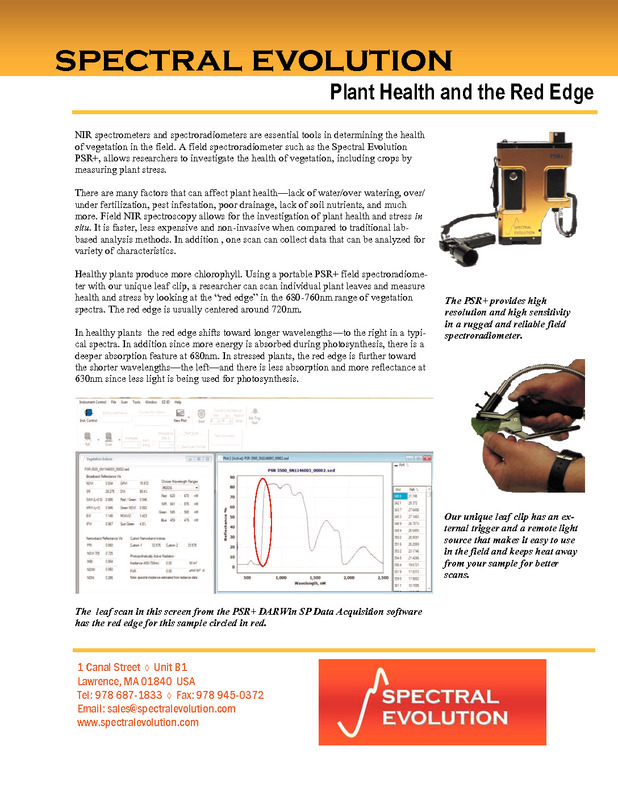 Measuring plant health in the field can be done with a field portable spectroradiometer from Spectral Evolution. 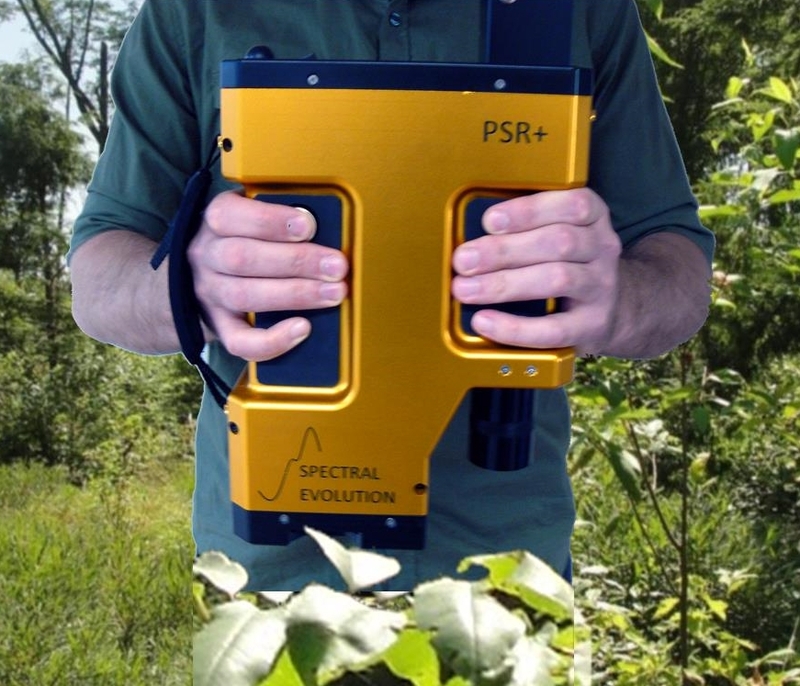 The PSR+ is a full range 350-2500nm NIR spectrometer that is ideally suited for taking vegetation measurements using our unique leaf clip and ILM-105 illumination source. 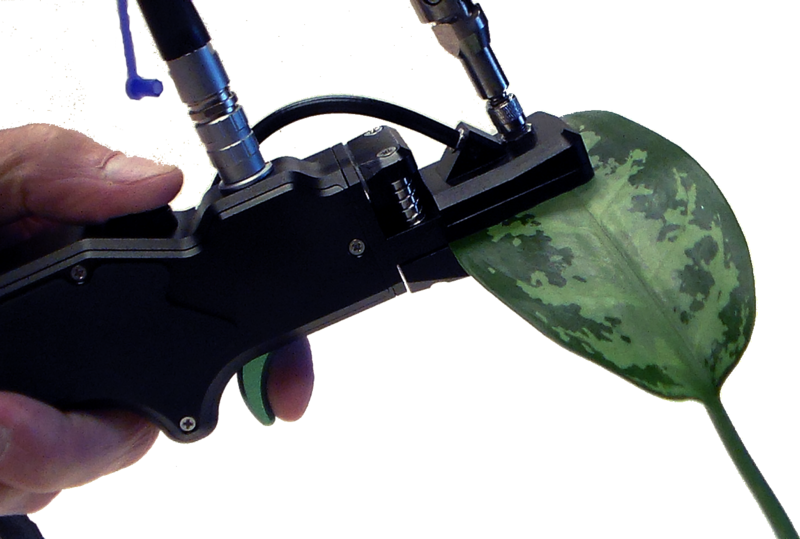 Using a PSR+ agricultural spectroradiometer and leaf clip, you can scan individual plant leaves and measure health and stress by looking at the red edge in the 680-760nm range of the leaf spectra. The red edge is usually centered around 720nm. In healthy plants the red edge shifts to the longer wavelengths – to the right on the spectra. There is also a deeper absorption feature at 680nm indicating there is more photosynthesis going on (more light being absorbed). In a stressed plant, the red edge is further to the left – toward the shorter wavelengths and there is less absorption and more reflectance in a feature at 630nm. The PSR+ combines high resolution with high sensitivity as well as rugged construction for field use. All solid state arrays mean no moving optical parts for greater reliability. Lightweight and with 2 slide-in lithium-ion batteries for a full day in the field, the PSR plus is designed for single-user operation. The leaf clip has an external trigger for ease-of-use and an external illumination source to keep heat away from your samples. A pull down menu within our DARWin Sp Data Acquisition software provides immediate access to 19 vegetation indices. In this spectra the red circle highlights the red edge for this particular sample. The PSR+ is well suited for analyzing plant health by measuring the red edge of a spectra. Our leaf clip is ergonomically designed for a single user. It features an external trigger, built-in reference panel, and external illumination source to keep heat from affecting your sample measurements. 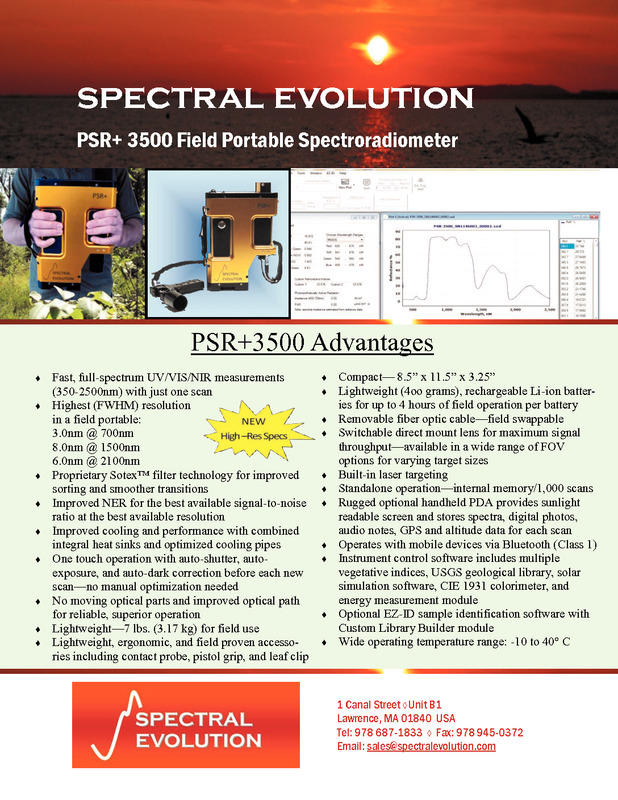 Download our Field Portable Spectroradiometers for Remote Sensing brochure. Click here.